64 BC. AR serrate denarius. 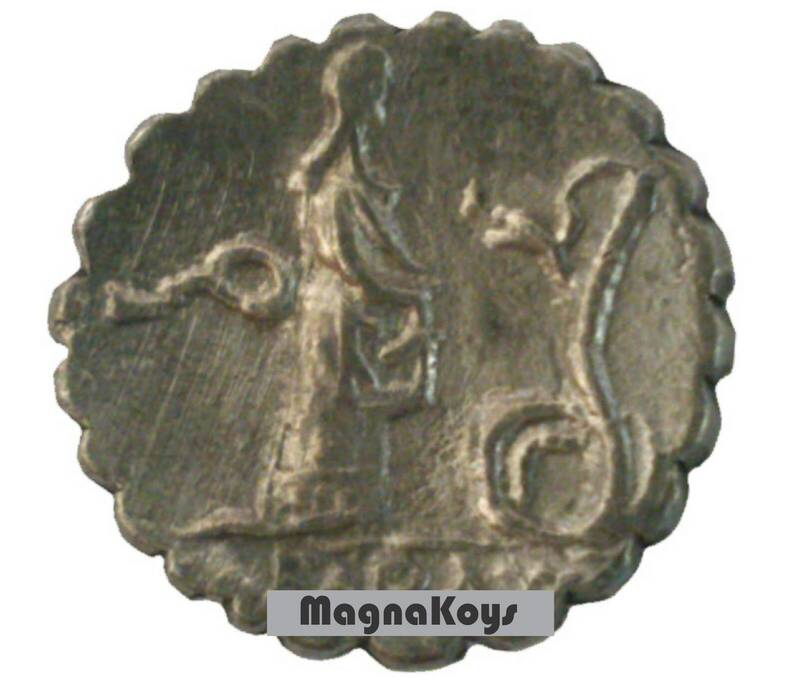 Maiden standing right, feeding erect serpent; control symbol behind. 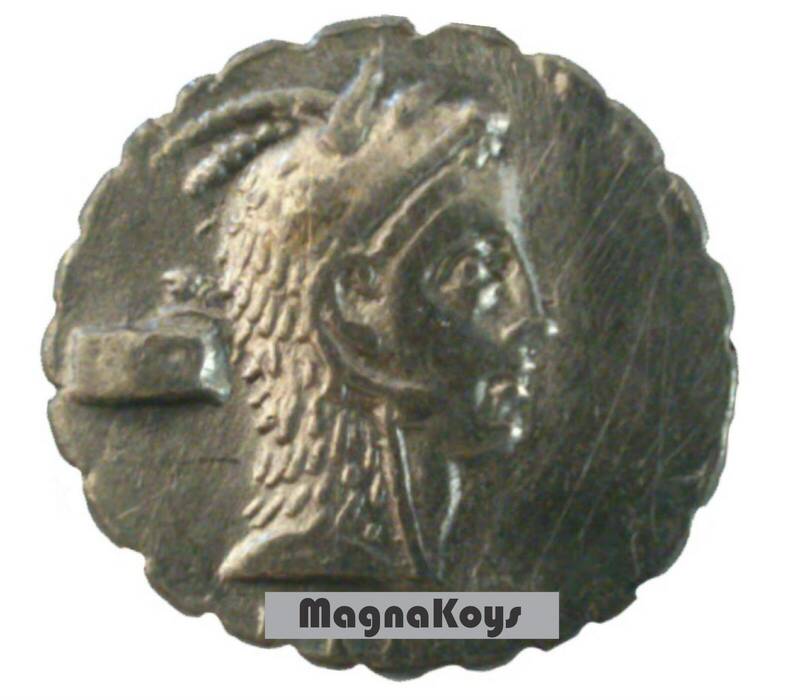 Items offered by Magnakoys Galerie are unconditionally guaranteed to be authentic.